One of the packages was sent to the Clintons' home in New York. HILLARY CLINTON HAS said that Americans are living through a “troubling time” after potential explosive devices were sent to her home and that of former President Barack Obama. The US Secret Service said it intercepted the packages, as numerous other reports of similar scares involving Democrats were reported across the US this afternoon. CNN evacuated its New York bureau after a suspicious device, which police described as a metal pipe with wires, was found in the mailroom. Bomb squad were on the scene, New York police confirmed. Two law enforcement officials said the suspicious package was believed to contain a pipe bomb. The officials said the device was crude but operational and was addressed to Obama-era CIA Director John Brennan, who appears on air on other broadcast and cable outlets. The top Republican lawmaker, Mitch McConnell, condemned what he called “attempted acts of domestic terrorism” while President Donald Trump joined in condemnation. In Florida, police using a bomb squad robot in the investigation of a suspicious package at the office of Deborah Wasserman Schultz, the former chairwoman of the Democratic National Committee. A spokesperson for Democratic Senator Kamala Harris, seen as potential challenger to Trump in 2020, said that their San Diego offices were also evacuated today due to suspicious packages being found near the building. New York Governor Andrew Cuomo, another Democrat, said a suspicious device was sent to his Manhattan office that the he “wouldn’t be surprised” if other devices were sent. The US Secret Service confirmed this morning that suspect packages were sent to First Lady Hillary Clinton and former President Barack Obama. One package was sent to the New York home of Bill and Hillary Clinton and the other was sent to Obama’s Washington residence. The US Secret Service has intercepted two suspicious packages addressed to Secret Service protectees. Late on 23 October, 2018, the Secret Service recovered a single package addressed to Former First Lady Hillary Clinton in Westchester County, New York. Early this morning, 24 October, 2018, a second package addressed to the residence of Former President Barack Obama was intercepted by Secret Service personnel in Washington, DC. 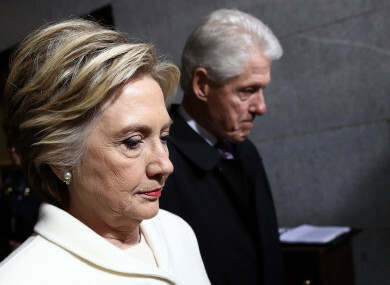 A US official speaking on the condition of anonymity told the Associated Press that a “functional explosive device” was found at the Clintons’ suburban home in Chappaqua, New York. The official says investigators believe the explosive is linked to one found yesterday at the compound of billionaire George Soros. Speaking this afternoon after the Secret Service find was made public, Hillary Clinton said America is in “a troubling time” before appealing for national unity. “We are fine, thanks to the men and women of the Secret Service who intercepted the package addressed to us long before it made its way to our home,” she said. But it is a troubling time, isn’t it? And it’s a time of deep divisions, and we have to do everything we can to bring our country together. While live on air reporting on the explosive find, CNN headquarters in New York was itself evacuated after an alarm was sounded. Pictures from outside showed police surrounding the Time Warner Centre with the NYPD asking people to stay away from the area. CNN has since confirmed that the evacuation was due to a suspicious package and that a police bomb squad was at its offices. The White House has condemned what it called “attempted violent attacks” on Clinton and Obama, describing them as “despicable”. White House spokeswoman Sarah Huckabee Sanders described them in a statement as “terrorising acts”. Email “Hillary Clinton, Barack Obama and CNN targeted with suspected explosive devices”. Feedback on “Hillary Clinton, Barack Obama and CNN targeted with suspected explosive devices”.